I had troubles with MGM on a stay at MB. I no longer have anything to do with MGM corp. The price to me was just under $100. For that they lost a bi-annual customer (who gambles a lot) about 1/2 dozen years ago. It's not just the price, it's how they handle it. Just walked from MGM to Linq and back. In the room for a bit. Will go back out later but my ankles are inflamed so took some Advil and will relax a bit. Will take my camera out in a bit for pictures. Done gambling today. Once I confirm the manager held his end of things I will make it known and If he does not I too will make it known. Please note I did not to asking for anything to be given (better floor or resort fees) they were just offered. All I wanted was my card to not be charged more than it should. 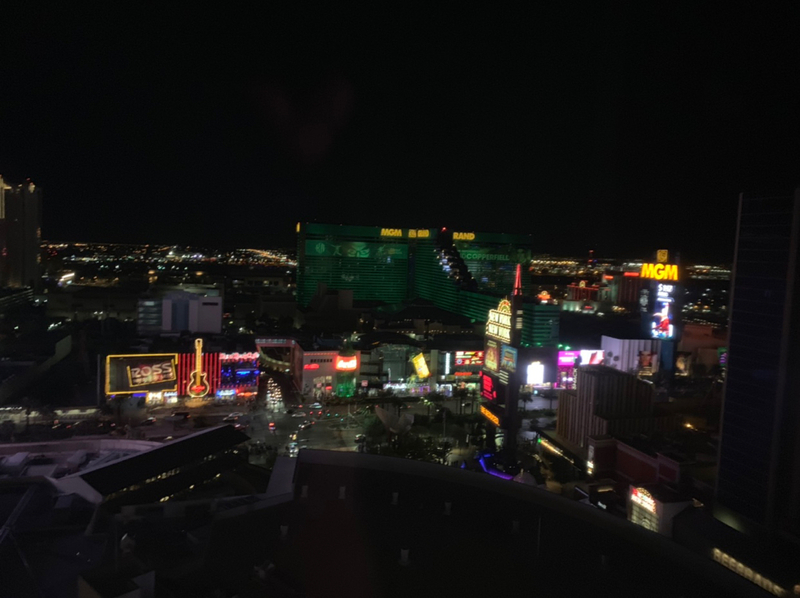 Man, what a mess with Park MGM! I'm not looking forward to my stay there, I just booked it for its proximity to the T-Mobile Arena....needed convenience. Gambling wise, that's how my luck tends to go. Hope things turn around for you tomorrow and you enjoy a lovely Vegas evening tonight. Calling it a day I think. Back in the room. Went and checked out a couple local establishments and then came back. It’s crazy out with the hockey game tonight. Part of me wants to explore more but my body says rest is needed. Took photos with my real camera, not looked at them yet. Great start to report, I hope you can find some joy in Vegas, so sorry to hear about your son. Thank you for all the photos! I am sorry for the loss of your son, what a tragedy. My condolences. First win of the trip. 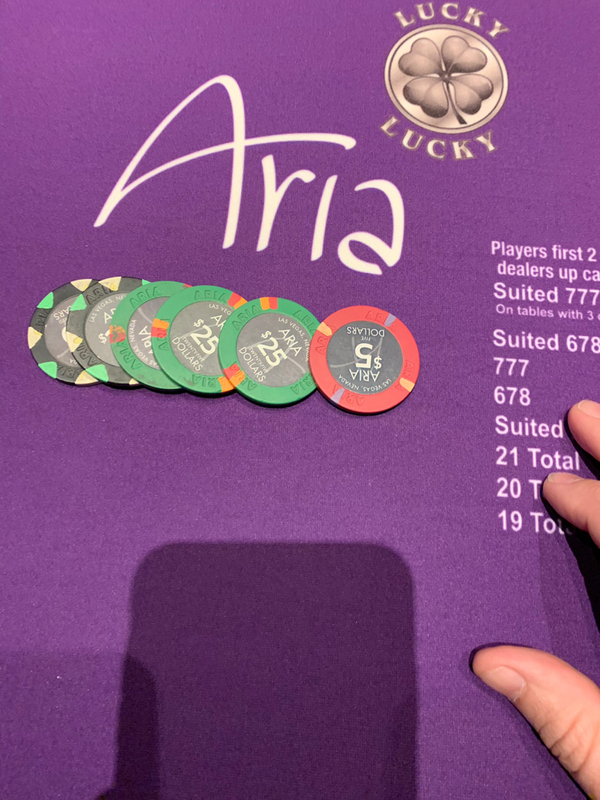 Bought in for $100 and out for $155 at park MGM. At this point, I think you need to get the highest manager on the property to make this mess right! Hopefully today is a better day for you, and I'm sure it will be. You're in Vegas, stay positive and I'm sure things will turn for the better. Wishing you some big wins today! They say this manager is fixing it now. I will confirm again in a bit. Also posted on their twitter feed about it. Hope things continue to get better on your trip, moving in the right direction on wins! Keep it up, wishing you the very best. Great pics. Can’t find the words other than my heart hurts for the sudden loss of your beloved son, he will always be with you; treasure all the memories.